The new album Ruins/Adfeilion has been officially released! 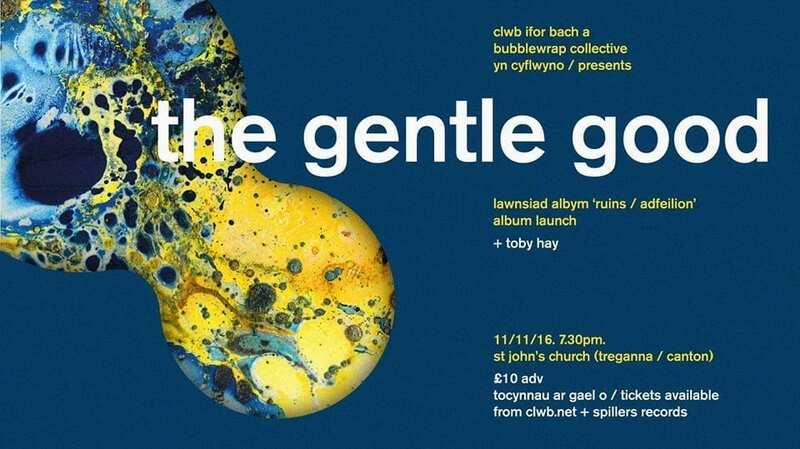 We’re celebrating with a launch on Friday November the 11th at St John’s Church in Canton, Cardiff. It’s going to be a really special evening, not least because it’ll be a rare chance to see the album played with full band, strings and brass, just like on the record. Ruins/Adfeilion out October 14th! The Gentle Good Live on the BBC Radio 2 Folk Show!